The aim of this paper is to generate information to assist in the archaeobotanical recognition of post-harvest processing activities related with different enhancement and consumption patterns of quinoa in the Central Andes. Enhancement of the grains involves what local people call “mejorado de los granos”. Their main purpose is to reduce as far as possible the presence of saponins, a toxic metabolite, in the grain. Ethnobotanical data were recorded in the village of Villa Candelaria (Southern Bolivian highlands) through the application of standard ethnographic techniques. The types of grain enhancement vary depending on the meal that people want to prepare. We registered three different quinoa enhancements based on intended consumption, (1) as a whole seed, (2) in soups or (3) as pitu (a kind of toasted refined flour). Laboratory analysis aimed at identifying distinctive features of grains in different processing stages, as well as evaluating the effects of charring. For both desiccated and charred remains, quinoa processed for pitu can be distinguished from that for whole seed/soup. 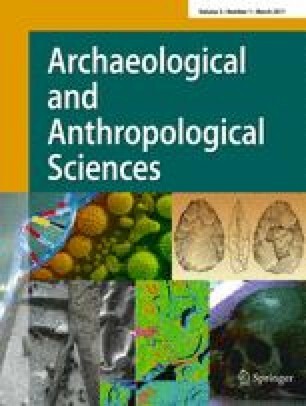 As a case study, archaeological grains of the pre-Inka site of Churupata, located 3 km from Villa Candelaria, were interpreted as quinoa prepared for consumption as whole seed/soup. We are indebted to Villa Candelaria’s people for sharing with us their traditional knowledge. Also to Soultana Valamoti, who revised a first version of this article and gave us the possibility of improving it with her relevant suggestions. We thank Dorian Fuller and the anonymous reviewers for their useful comments and the Agencia Nacional de Promoción Científica y Tecnológica (ANPCyT) PICT 30051 for the financial support.